Gray, Les, 57, singer, heart attack. (February 21, 2004) – The lead singer of 1970s chart topping band “Mud” had been battling against throat cancer, and had opted for chemotherapy over removal of his voice box. The “Quiet Beatle.” he underwent radiation therapy for throat cancer, which he attributed to years of smoking. Reeves, Del, 74, country singer; emphysema (January 1, 2007). The list you see above is the work of a serial killer, who goes by the name `THE CIGARETTE ‘. The world has lost so many people, friends, family, dear ones, beloved’s, role models, pioneers to this one dirty habit of `Smoking’ caused by the cigarette. I am sure you, just like us, being a part of the musical community realize what talent and genius have been taken away forever from us, never to return! Its Anti-tobacco day this week, and generally everyone will advise you to quit smoking, but ArtistAloud says, `IT IS HEALTHY TO SMOKE’!!! February 1981: Awarded Jamaica’s third highest honor, the Jamaican Order of Merit. March 1994: Inducted into the Rock and Roll of Fame. 1999: Album of the Century for Exodus by Times Magazine. 2004: Rolling Stone ranked him No.11 on their list of the 100 Greatest Artists of All Time. “One Love” named song of the millennium by BBC. 2006: A blue plague was unveiled at his first UK residence in Ridgmount Gardens, London, dedicated to him by Nubian Jack community trust and supported by Her Majesty’s Foreign Office. 2010: “Catch a Fire” inducted into the Grammy Hall of Fame (Reggae Album). We all listen to music, play music but there are some who only lived for the music they made. For them, music is not just a creative art form, it is their everyday being, it is their existence, and it is their `life itself’. These are legends that are born, do exactly what they are supposed to do and leave us with their excellence, for us to live with and follow forever. What you see above is the lifetime work of a man who even after his death, this week in 1981, continues to lives on in the posters many of us have on our living room walls and on our hearts …..The man, the legend…..`Robert Nesta’. Didn’t ring a bell? Lemme say it again…..
His music spoke about the social issues of his homeland, and he is considered to have given voice to the specific political and cultural nexus of Jamaica.His best-known hits include “I Shot the Sheriff”, “No Woman No Cry”,”Could You be Loved”, “Stir It Up”, “Get Up Stand Up”, “Jamming”, “Redemption Song”, “One Love” and, “Three Little Birds”, as well as the posthumous releases “Buffalo Soldier” and “Iron Lion Zion”. The compilation album Legend (1984), released three years after his death, is reggae’s best-selling album, going ten times Platinum which is also known as one Diamond in the U.S. and selling 25 million copies worldwide. Bob Marley and his `reggae’ has inspired many musicians around the world, the signs of which he will be proud to find in millions of songs and artists. The legend lives on through his music and now also through his son Damian, a member of the band SUPERHEAVY. ArtistAloud says…Let’s reggae this week and say our thank you to this legend……. Hear Nirmika and the few good men , Varun, Mynta and Daler Mehndi and their songs with the reggae groove in our top ten this week, only on ArtistAloud.com. How often is it when your first performance as an artist happens to be a last minute replacement for the real act who fails to show up. You sing, you cry, you make the audience cry and you hear a voice as if god is saying ……’Donna, you’re going to be very, very famous’! 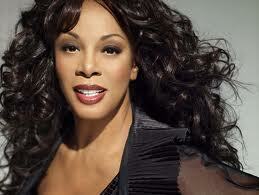 A musical career spanning three decades, Donna summers brought her first album `lady of the night ‘in 1974. With this album, she found success in Europe but it was what started as an idea, a phrase canned by her `love to love you baby’ that made her truly arrive. By early 1976, “Love to Love You Baby” had reached #2 on the US Billboard Top 100, while the album sold over a million copies. The song had its share of controversies but who could have stopped this superstar. Her subsequent albums Love Trilogy and Four seasons of Love went gold in the US. Her music has enthralled fans through the 70’s, 80’s 90’s and the new millennia. Starting with ‘love to love you baby’ in ’76 to the dance chart topper single ‘to Paris with love’ in 2011, Donna Summers has always featured on the top in charts and playlists across the globe. This winner of 5 Grammy awards, 12 Grammy nominations, 12 gold singles, 6 American music awards and more than a billion hearts, we are sure has won God’s heart as well ! DONNA SUMMERS (Dec 31st 1948 – May 17th 2012) – ArtistAloud says `Thank you’ to this legend of music! Independent Music – Why does it work ? In our country, when we listen to a song on TV, Radio or on the Internet, it stays in our mind.This is not because a particular song is good or bad, it is a result of the media exploiting our inquisitive mind by feeding a particular song to our ears till they don’t start bleeding and it just goes on and on. One song comes in, it is played till you forcibly don’t accept it and once you accept it, they bring out another one! The audience today has become a zombie republic, immune to any torture. Now comes the question, when we have become immune, why is it that when we hear an unknown song by an unknown artist, there is a feeling of something new, something unexplored? These songs or artists are not popular in the main stream media; neither do their music videos feature superstars. So what makes this kind of music work? The answer to this is right within us. These unknown songs and artists represent a `freedom’ and `independence’ that we all seek from our daily doze of mundane and zombie media consumption. We all have become immune to pollution but who doesn’t welcome a breath of fresh air? The freedom, independence, freshness, uniqueness and a sense of mystery that independent music brings in is what makes it work. So there are a hundred different ways one can go about creating a song. The processes that come into play are different with every artist, and what you are about to read is the convoluted manner in which we make our music. We believe that the Artist’s personality comes across in any activity/composition that the artist does, which is why listening to someone’s original music is a true reflection of the kind of artist/musician/person they are. As much as we hate to admit it, we (at Modern Mafia) are a bunch of random, happy, ADD afflicted individuals; and we believe that as much as we try and hide it, it comes across in our music. Anyway, we’ll get to that later. First, how we go about composing. The beginning of a composition is the most varied part. As you’ve probably heard/read artists say, a song can start off from anywhere. All you need is one good idea to set the process going. This can be absolutely anything from a riff the guitarist makes at home to a melody the vocalist thought up while riding his bike (You get the idea). Any instrument used in the band can start off a song; what generally defines a band is what they decide to do with the idea. For example, we were working on completing the song ‘Daylight’ and Ishaan was trying to compose a layer for the chorus of the song. He came up with a beautiful riff, which sounded great on it’s own, but didn’t somehow mix well with the rest of the track. We liked the riff so much that we decided to base a new song around it, and the new song is the last track off our EP (FX or nothing). But what is the next step after the initial idea is in place? Well, we see what direction we want to take the song in and we apply that theme to what we already have. This is the part most difficult to put into words, because the process has no fixed method. What we try to do is apply our musical sentiments to the idea and make the song ours. While that sounds extremely cliche, it is the part that defines a bands sound. It is basically the transfer of ideas from an individual in the band to the entire band. Often, we get stuck here and end up wasting a valuable amount of time figuring out what to do and trying to plan the next part of the song. At these times, we just plan what we’ve composed till then and just take the song further with the flow. Sometimes, the best sections of a song fall into place in this manner. Once we have the basic pattern of the song clear in our minds, we record a rough version of it and take this back home. We each individually listen to the song over and over again and try to fill in what’s missing or correct any part we don’t like. This is the honing/fine-tuning part of the process, and can take anything from a couple of hours to a couple of weeks and is an invaluable part of the process. After all the corrections and the changes, we keep repeating this part of the process until we are satisfied with the outcome, and voila! Song is composed and ready! From our EP (Random Sheep), the first and the last tracks are the ones that we have made completely in this manner. The middle two tracks are the happy pop-punk songs, and the other two show our chaotic, ADD styled side. Although we have separate styles in our EP, one can always hear the connect between every song, and this is the most important part of composition. The music must flow not only within a single song, but also from one song to another. Anyway, thank you for bearing with our views on composing and life in general! Check our music out at the following links, cheers!